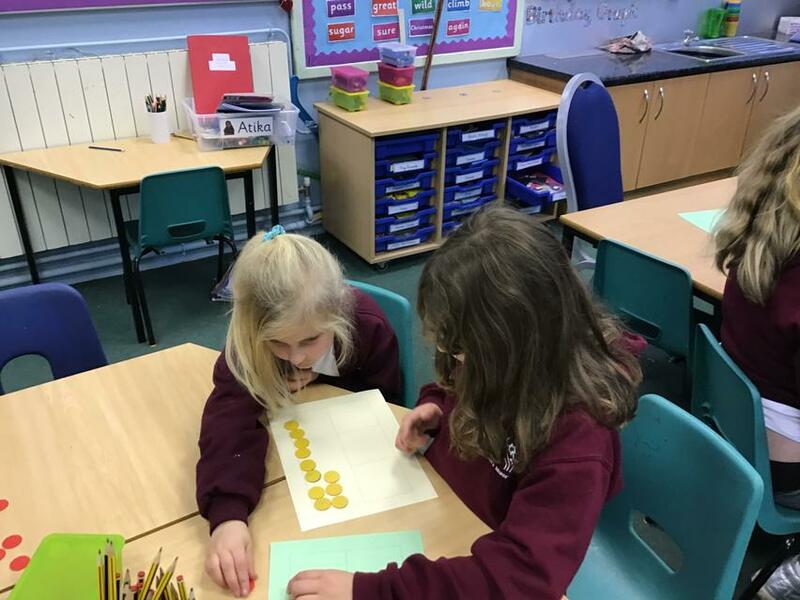 We have learned how to use a bar model to solve fraction calculations. 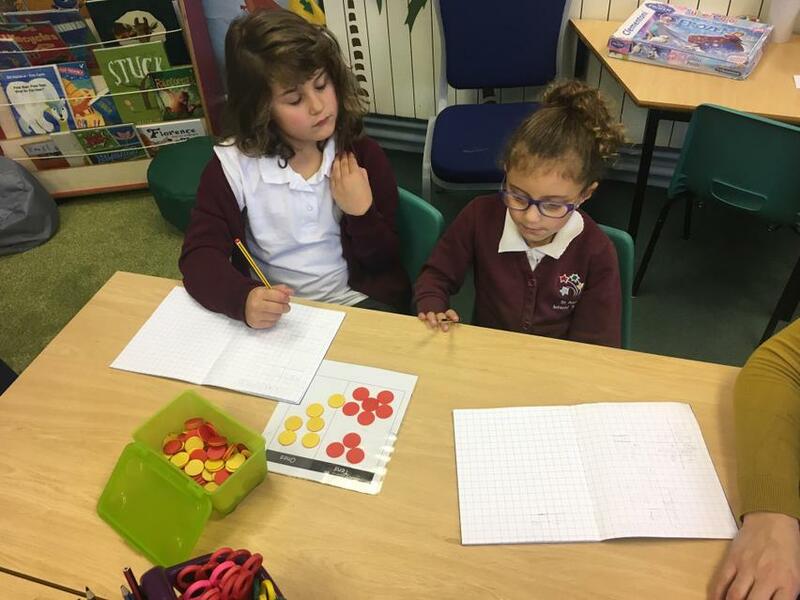 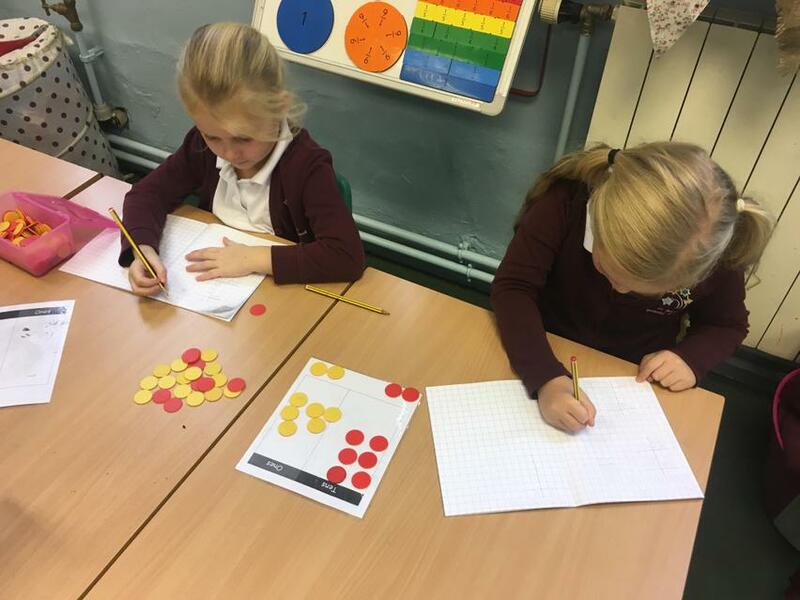 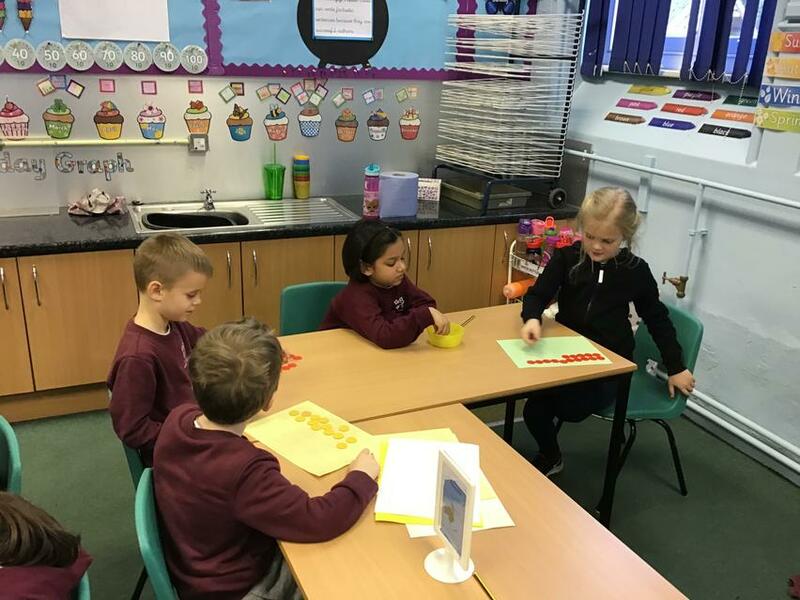 We having been learning to add and subtract two, 2 digit numbers. 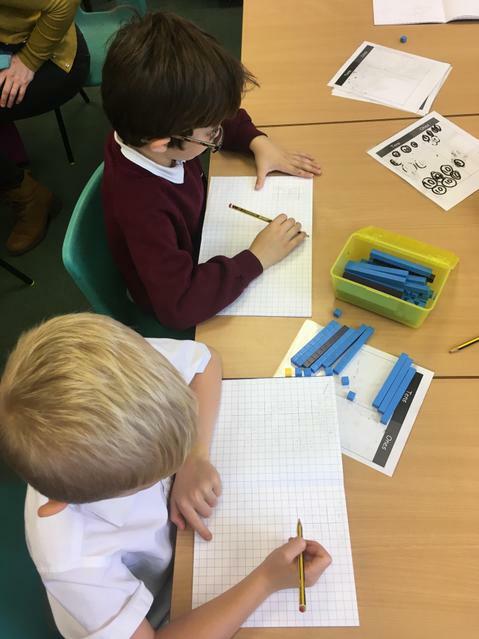 First we used physical resources, then we learned how to draw pictorial representations, and then we learned to use the column strategy. 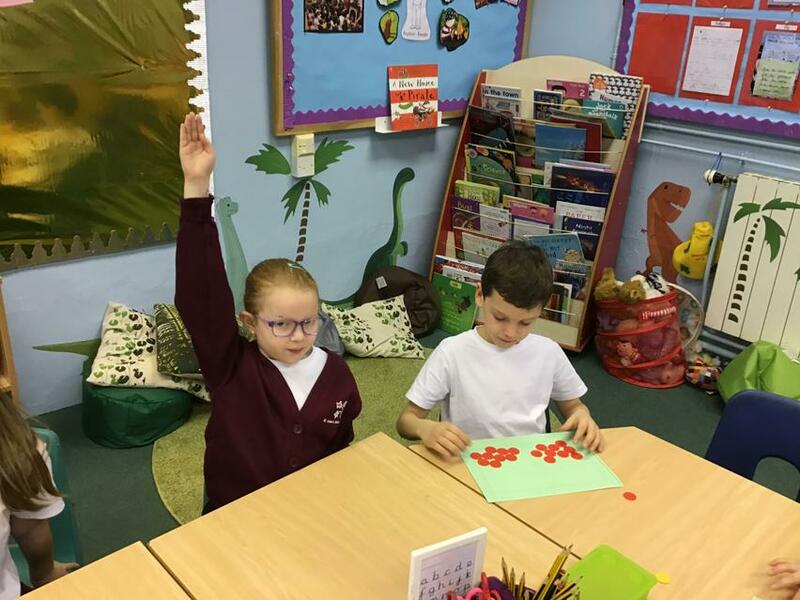 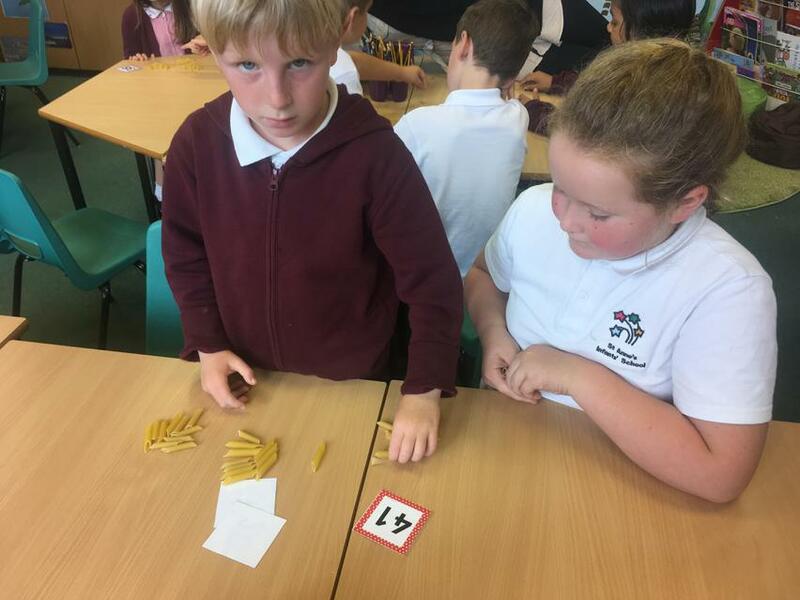 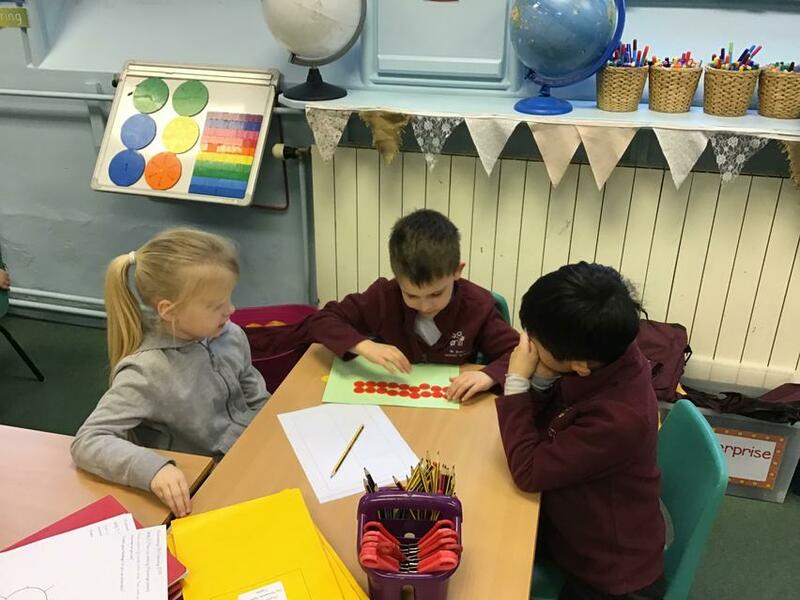 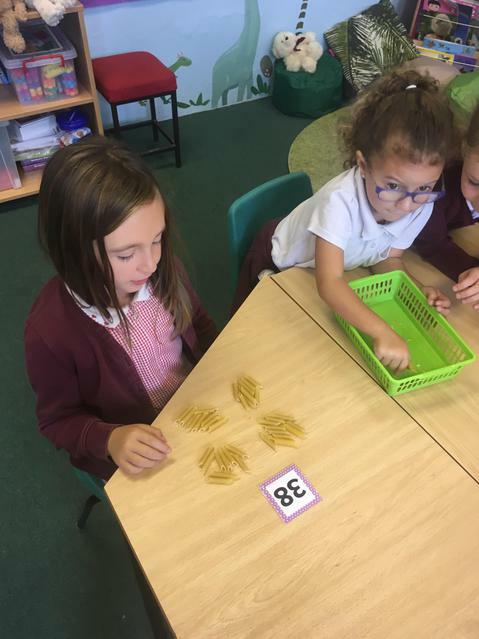 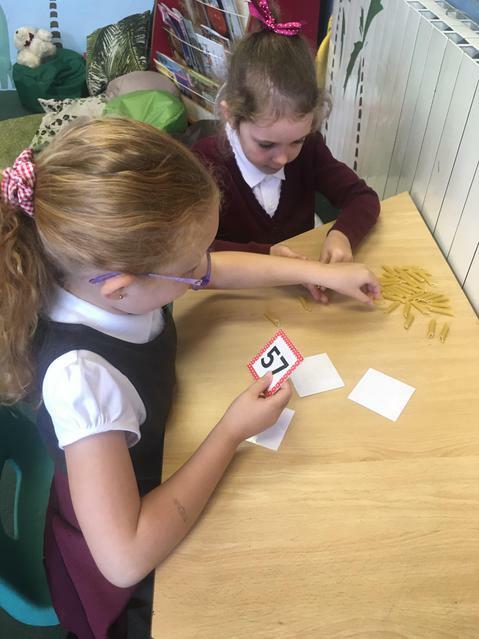 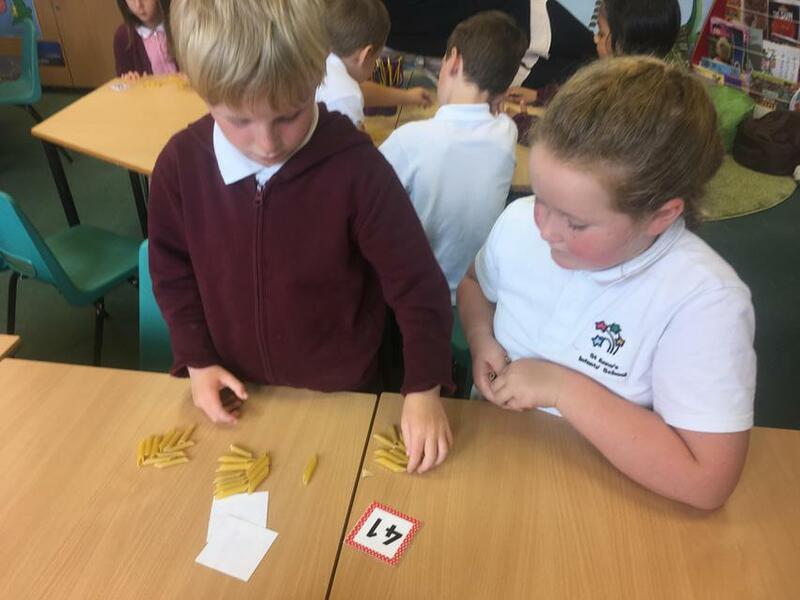 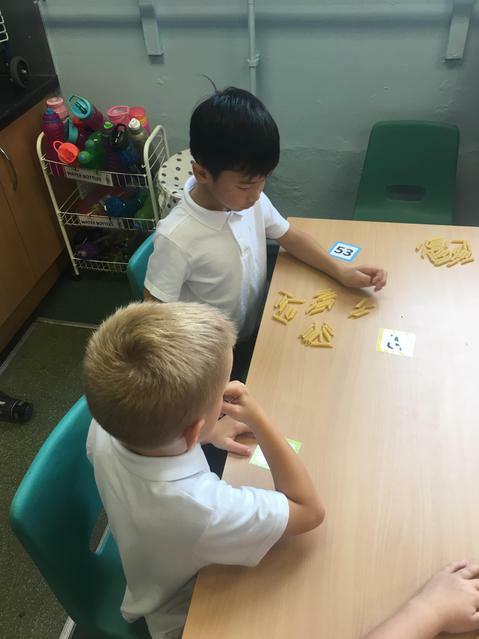 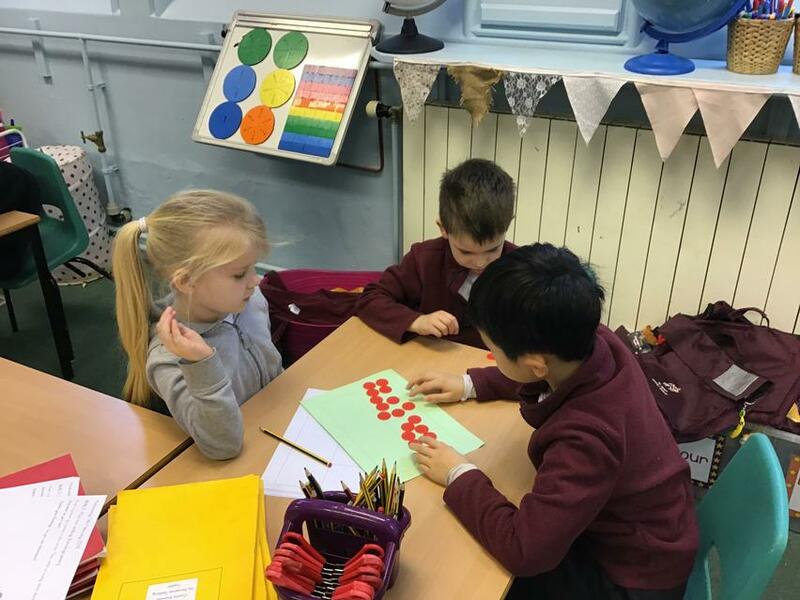 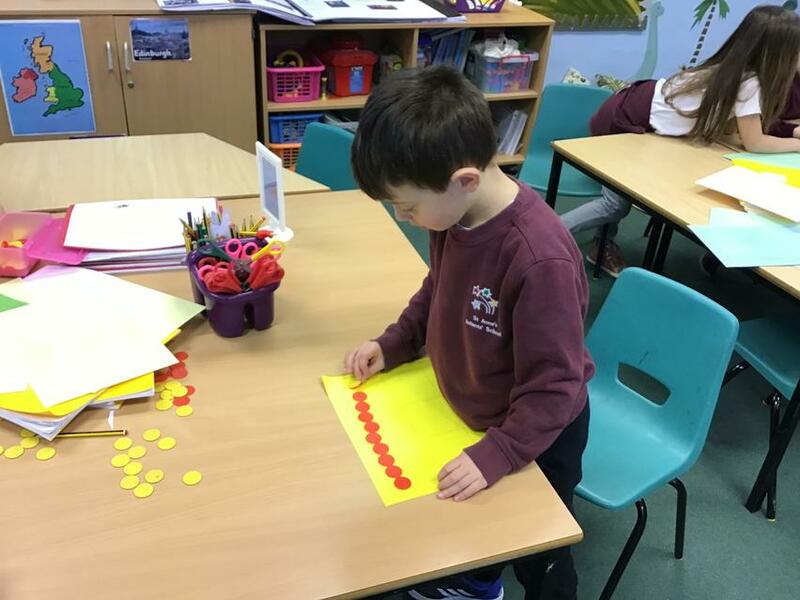 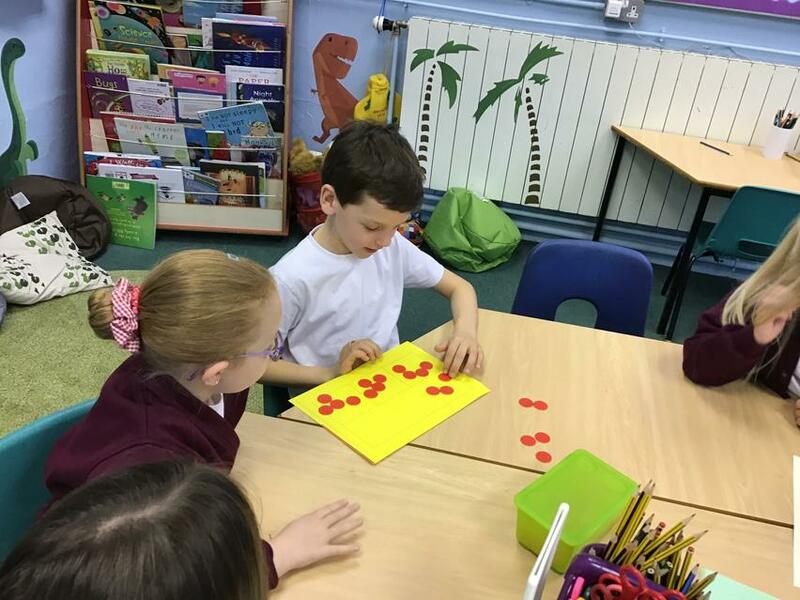 Jupiter Class practised counting objects to 100. 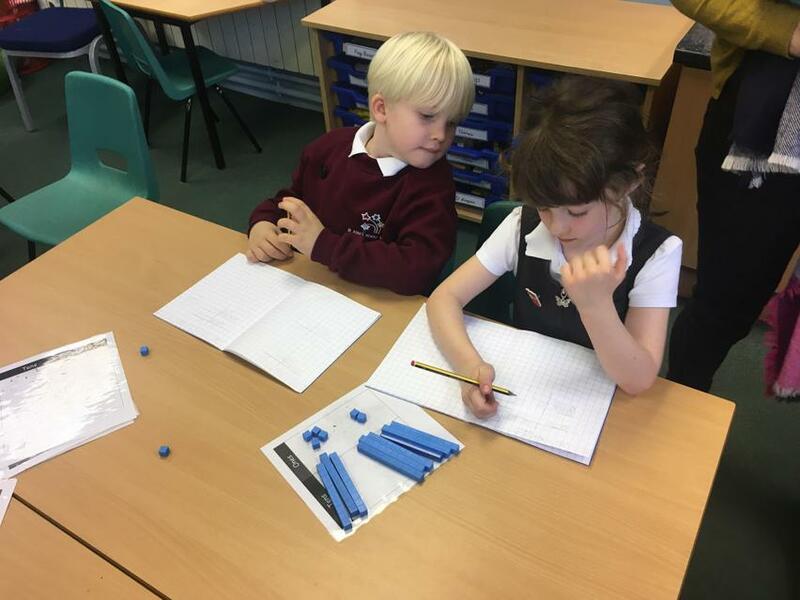 They looked at the place value of each number and then counted out the correct amount of tens and ones.